Welcome Offer: Earn up to 75,000 Membership Rewards® points: Spend at least $10,000 in qualifying purchases within 3 months of opening your account for 50,000 points. Spend an additional $10,000 in qualifying purchases within the same 3-month period for another 25,000 points. Terms and Conditions Apply: For rates and fees of the the Business Platinum® Card from American Express, please visit this rates and fees page. The Business Platinum® Card from American Express is an American Express business charge card that blends the features of a travel rewards card with the benefits of a small business card. Although it shares many of the features of the Platinum Card from American Express, including a hefty annual fee, it’s meant exclusively for business owners. The Business Platinum® Card from American Express offers extremely generous travel benefits, including complimentary airport lounge access and a $200 airline fee credit with the airline of your choice. It’s tapped into the American Express Membership Rewards® program, too. Business Platinum competes with other high-end cards for frequent travelers, including Citi Executive AAdvantage World Elite Credit Card and Platinum Delta SkyMiles Credit Card from American Express. It’s also comparable to general-purpose rewards cards, such as Chase Sapphire Reserve. Keep in mind that this card requires a good or excellent credit score. Therefore, it is not ideal for every business owner, particularly those who are just getting started. Also, as a charge card, Business Platinum requires that you repay your balance in full each month, with limited exceptions. Though it doesn’t accrue regular interest charges, cardholders who don’t pay in full for two consecutive statement cycles incur late charges and risk account closure. You’re entitled to a $200 annual airline fee credit with the airline of your choice. It’s good for offsetting incidental expenses such as baggage fees and in-flight services. Earn up to 75,000 Membership Rewards® points. When you spend at least $10,000 in qualifying purchases within 3 months of opening your account, you earn 50,000 points. If you spend an additional $10,000 in qualifying purchases within the same 3-month period, and you’ll get another 25,000 points for a total of 75,000 points. Most Business Platinum purchases earn an unlimited 1 Membership Rewards® point per $1 spent. For eligible purchases of $5,000 or more, you get 50% more – 1.5 points per $1 spent, up to 1 million additional points per year. Prepaid hotel and airfare purchases made through American Express Travel, Amex’s online booking portal, earn an unlimited 5 points per $1 spent. You can redeem your points for merchandise, transportation, travel, gift cards, and statement credits through American Express’s Membership Rewards® portal. Point values generally fall between $0.005 and $0.01 apiece, but vary by redemption method. Statement credits have lower redemption values, while merchandise and transportation (including Uber rides) have higher values. When you redeem earned points (Pay With Points) for airline travel at the qualifying airline of your choice, you get a 35% points bonus, payable as a rebate. For instance, if you redeem 10,000 points for a flight, 3,500 points are deposited back into your account. You only receive this benefit with one airline, so be sure to choose the carrier you fly with most often. This benefit is capped at 500,000 bonus points per calendar year. You’re also entitled to another, broader 35% points bonus on all First and Business class flights available through American Express Travel. Enjoy complimentary access to over 1,200 airport lounges over 130 countries and counting through the American Express Global Lounge Collection, which bills itself as “the only credit card airport lounge access program that includes proprietary lounge locations around the world.” You can also access partner lounges such as Delta Sky Club and The Centurion Lounge. You enjoy free access at more than 1 million Gogo and Boingo WiFi hotspots worldwide, including a limited number of Gogo in-flight WiFi passes. You’re entitled to upgrade to Marriott Bonvoy Gold Elite Status with no spend or stay requirement. When you do, you’ll enjoy a 50% bonus on base Bonvoy point earnings, special welcome gifts at check-in, flexible check-out, and room upgrades where available. With this offer, you can earn one year of complimentary Platinum Global Access from WeWork. This benefit entitles you to complimentary access to more than 300 WeWork coworking spaces in 75+ cities around the world. Enroll to get up to $200 statement credits annually for U.S. purchases made with Dell. You can get up to $100 in statement credits between January and June and another $100 in statement credits between July and December for qualifying purchases. Terms apply for this offer. Most Business Platinum cardholders are required to pay their balance in full at the end of each billing period. Those who don’t risk account closure after two consecutive periods of non-full payment. However, longstanding cardmembers can get around this requirement with American Express’s Pay Over Time feature, which allows balances to be carried indefinitely (with interest) from month to month. Carried balances accrue variable interest charges, depending on prevailing rates. Business Platinum has a $595 annual fee, starting in the first year of card membership. There is no foreign transaction fee. For customers not enrolled in the Pay Over Time program, the late fee is the greater of $38 or 2.99% of the total late balance, starting after two consecutive billing periods of nonpayment – though other repercussions, such as reduced spending limits, may be imposed after less time. The returned payment fee is $38. This card requires good to excellent credit. Cardholders are also expected to have business cash flow sufficient to support timely, in-full payments on a charge card without a preset spending limit. Great Travel Benefits. Business Platinum has too many travel benefits to name. The most valuable are the 35% rebate on qualifying airline purchases paid for with Membership Rewards points, the $200 airline fee credit, the luxury benefits at thousands of hotel properties worldwide, and access to over 1,200 airport lounges over 130 countries and counting. Few competing business cards offer a similarly strong travel benefit lineup. Strong Welcome Offer. Business Platinum’s welcome offer is worth up to $750 when fully exploited (and possibly more, depending on how you redeem). That’s significantly more than many other business charge and credit cards, including Business Green Rewards Card from American Express ($50 bonus) and Diners Club Premier and Diners Club Elite (no bonus). Outstanding Rewards Rate on American Express Travel Purchases: This card boasts a 5% return on major travel spending, which is nearly unheard of in the business credit card niche. To participate, all you have to do is purchase airfare and prepaid hotels through American Express Travel, American Express’s dedicated travel portal. 35% Point Bonus on Qualifying Airline Purchases. The Business Platinum Card stretches your points 35% farther when you use the Pay With Points feature to purchase airfare with your selected qualifying airline – that’s 3,500 bonus points for every 10,000 points spent. The same 35% boost applies to all first and business class flights with airlines available through American Express Travel. Automatic Marriott Bonvoy Gold Elite Status. This card automatically earns you Marriott Bonvoy Gold Elite status, which normally requires at least 10 paid stays at Marriott Bonvoy hotels and resorts. Gold status entitles you to complimentary room upgrades, flexible checkout, 50% point earning bonus on paid stays, complimentary gifts upon arrival, and more. By contrast, the actual Marriott Bonvoy Business™ American Express® Card doesn’t come with an automatic Gold Elite upgrade – you have to spend your way to it. No Preset Spending Limits. As a charge card, The Business Platinum Card has no preset spending limit. If you’re a big spender who can’t wait to make large, mission-critical purchases, this can be a lifesaver. Before you sign up for a business credit card with a finite spending limit, think carefully about the potential trade-offs. 1.5X Points on Big Purchases. It pays to make large business purchases with this card. When you make eligible purchases of $5,000 or more, you earn 1.5 Membership Rewards points per $1 spent on the entire balance, up to 1 million additional points per year. That’s an extra $10,000 in potential reward earnings each year – though you, of course, have to have the budget to support that kind of spending. No Foreign Transaction Fees. With no foreign transaction fees, this is a great card for overseas business travelers. Many competing business cards, including U.S. Bank Business Edge World Elite MasterCard (2% to 3%), carry foreign transaction fees of 2% or higher. Peace of Mind Benefits. In addition to its luxurious travel benefits, Business Platinum has a host of less flashy perks that offer valuable peace of mind. These include 24/7 roadside assistance, 24/7 global assistance for travelers, baggage insurance, and travel insurance. Other business credit cards, such as the Capital One Spark family, don’t have such a solid lineup of “behind the scenes” benefits. Costly Annual Fee. This card comes with a $595 annual fee – a high price to pay for business owners who don’t travel often enough or spend quickly enough to take full advantage of Business Platinum’s benefits. If you’re looking for a solid rewards credit card, but don’t want to pay more than $500 per year for it, look to Gold Delta SkyMiles Business Credit Card from American Express or the Marriott Bonvoy Business™ American Express® Card. Pay-in-Full Requirement. You’re generally required to pay your Business Platinum balance in full each month, which can be problematic if you value the flexibility of a credit card. 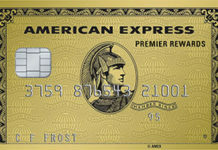 If you don’t qualify for Amex’s Pay Over Time feature, don’t have the cash flow to pay your card balance in full each month, or want the flexibility to purchase items on credit, look to a business credit card – not charge card – such as the Citi Executive AAdvantage World Elite Credit Card or the Gold Delta SkyMiles Business Credit Card from American Express. Exacting Qualification Requirements. 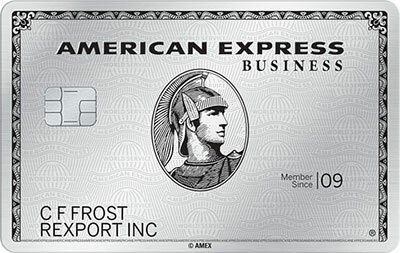 The American Express Business Platinum is a very high-end charge card. It’s not for business owners with modest cash flows or less-than-perfect credit. If you’ve recently gone into business for yourself or have any blemishes on your credit history, set your sights lower – at least for now. Capital One Spark Miles and Spark Classic are both great cards for small businesses without gold-plated credit profiles. If you’re a first-time entrepreneur with limited experience running a business and a non-stellar credit profile, The Business Platinum® Card from American Express is probably too much card for you to handle right now. It is an exclusive card that’s meant for business owners who have truly spectacular credit, can pay their balances in full each month without trouble, and travel frequently enough to reap all the rewards on offer. This doesn’t mean Business Platinum card membership is an unattainable goal that must be banished from your mind forever. It’s absolutely a realistic goal – provided you’re willing to work to build your business – and credit – first. The Business Platinum® Card from American Express is ideal for successful business owners with ample cash flows, stellar credit, and busy travel schedules. It is not meant for business owners who don’t travel frequently, nor for those who have no use for luxurious card benefits. This card’s perks include excellent airline rewards, eye-popping return on travel spending, awesome non-airline travel benefits, a great welcome offer, and a lack of foreign transaction fees. However, its high annual fee exacting qualification requirements are important drawbacks.